The pink sapphire is corundum dyed by the presence of chrome. Depending on the quantity of chrome, the color and its intensity will vary. When the color is purple, it is the presence of vanadium that will determine the exact tone. The presence of chrome for coloration is the same than for rubies, that is to say red corundum. This is why you will sometimes find the expression pink ruby for this sapphire because it comes from the same phenomenon. The popularity of the pink sapphire probably comes from its likeness with the pink diamond but at a more affordable price for people. The lighter and vivid is the color, the more expensive is the sapphire. Most often, these pink sapphires are heated to improve their vividness. Good quality pink sapphires are very rare in the nature, even though their quantity increased since the nineties with the opening of Madagascar mines. The trend now is to find a pink sapphire with purple and pink hues. It is therefore called hot pink or Pink chewing gum. Mines: Sri Lanka, Burma, Madagascar, Tanzania, Myanmar, Thailand, Australia, China. You will not find many traces in history about pink sapphire in the different civilizations. It was just considered as a pale ruby with a less vivid color. 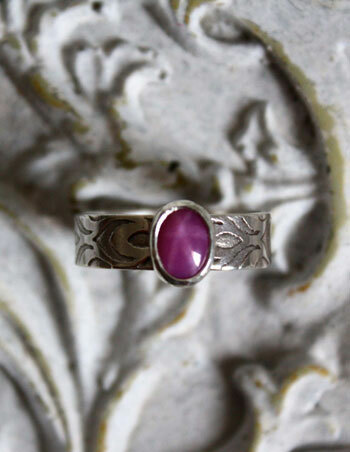 Stories or legends about this stone are more part of the history of ruby. 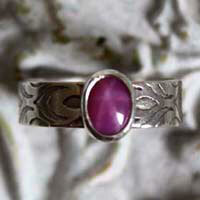 In the Asian culture, the pink sapphire was often compared to a lotus flower, which is a sacred plant. It symbolizes beauty, wisdom and purity. You will find the main healing properties of this corundum on the page sapphire. Here you will find the properties or healing properties that are specifically about the pink sapphire. The pink sapphire would strengthen and balance the heart. It would help balancing and metabolizing glucose, and helping with diabetes. It would help regulating the body hyperactivity and some glands. The pink sapphire would be efficient with blood diseases and bleedings by strengthening veins. It would increase cells lifetime.